Though The Great Escape is a novel, its basic story is true, and the novel's author Paul Brickhill (1916-91) was a participant in it. 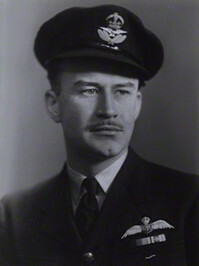 Brickhill, an Australian, had flown missions against the Germans in Tunisia for the Royal Australian Air Force when he was shot down in 1943. Locked away and bored in Silesia in Luft Stalag III, he and his fellow prisoners concocted an escape plan -- a daring idea that would result in a mass escape from the Germans. Of the 76 officers who escaped, only three were successful; Hitler himself ordered the execution of 47 of the men who were recaptured. Still, the escape remains one of the great heroic stories of World War II. A native of Melbourne, Brickhill had begun a career as a newspaper reporter at the Sydney Sun when war was declared in 1939. His instincts as a reporter stuck with him during his incarceration by the Germans, as he collected stories from his fellow prisoners that became the foundation for his later work. After the war, Brickhill sought to go back to newspapering, but quickly abandoned it to begin work on his first book, entitled Escape to Danger (1946), about his experiences in the POW camp. From this, he drew the story of The Great Escape, published four years later. The following year, Brickhill published The Dam Busters, an acclaimed account of pinpoint bombing raids by the 617 Squadron, followed by an anthology of POW stories entitled Escape or Die (1952) and Reach for the Sky (1954) a biography of aviator Douglas Bader. What book would you like as the Group Read Book in January for the New Year? Remember if there is not any books that you like on here. You may pick another book. Just remember to be specifice on the other book.